A radical new project called Metronome (MTN) born from the team at Bloq.com and headed by Jeff Garzik (who has been contributing to the Bitcoin code since July, 2010) is now public at Github. First unleashed at Money2020 in Las Vegas, the cryptocurrency offers users the ability to switch the same token back and forth between any Turing-complete virtual machine (EVM) Blockchain as desired and the founder say it is the world’s first cross-Blockchain cryptocurrency. On top of that, it’s apparently designed to function indefinitely and without management by a group or individual, even its authors. The project has been designed to bring institutional-class endurance and in terms of reliability, the system is architected for steady and predictable token supply with descending price auctions. The team expects that MTN will act as a store of value that is decentralized across Blockchains. and seeing that it be exported and imported across Blockchains, it means holders can move across chains which now gives the ability for users to emigrate from one Blockchain to another in the event of a failure. Not only that, MTN also allows for subscriptions, or recurring payments on the Blockchain that are automatic. Metronome, according to the team some no-brain uses of the tech include decentralized store of value across Blockchains, advanced payment settlement such as Mass Pay — allowing users to send tokens to multiple addresses with one action (missing on the Ethereum network). It can also do subscriptions – which would allow users to set up recurring payments between themselves and other parties (unique to Metronome). Want to know more? The owner’s manual is available here. Metronome will be two phases, both of which will rely on a descending price auction also known as a Dutch Auction. The daily supply auction, where new tokens are added to the auction ad infinitum, at the rate that is the greater of (i) 2,880 MTN per day, or (ii) an annual rate equal to 2.0000% of the then-outstanding supply per year. How will the Metronome token sale take place? The initial supply auction serves as the official launch of Metronome. 8,000,000 MTN tokens (10M, less the 20% one-time author retention) will be made available to the public with a descending price auction. The price per MTN will begin at a maximum price. As time progresses and more MTN is sold, the auction price will decline until a minimum price is reached or the auction ends. Metronome employs DPAs to establish predictable and transparent pricing for the MTN that the contract issues. When will the Metronome initial supply auction start? The initial supply auction is projected to start in early December 2017. How do I participate in Metronome’s initial auction? To participate in Metronome’s initial supply auction (and, every day thereafter, the daily supply lot) you will need access to an ERC20-compatible Ethereum wallet where you hold the private keys and sufficient ETH to purchase MTN. Do not use wallets provided by exchanges. Be sure to use enough gas when sending your ETH. If you do not use enough gas, your transaction will be rejected and you will have to send your ETH again. Ethereum can be purchased from cryptocurrency exchanges. Again, make sure that once you purchase your ETH, you transfer it into an ERC20-compatible Ethereum wallet where you hold the private keys. You should receive your MTN almost instantly following that; there is no need to wait until the end of the auction for disbursement. Is there a minimum or maximum number of MTN tokens I can buy during the initial auction? How does new Metronome enter the ecosystem? Following the initial auction, MTN is added to MTN’s daily supply lot (“DSL”) every 24 hours, at the rate that is the greater of (i) 2,880 MTN per day, or (ii) an annual rate equal to 2.0000% of the then-outstanding supply per year. Newly-minted MTN from the DSL enters the ecosystem via a DPA. All tokens in the DSL start at a maximum price set by the contract at the previous auction’s minimum price multiplied by two. Every 60 seconds, the price of remaining MTN is reduced to 99% of its previous price. After some time, we expect the price of remaining tokens will become low enough for the DSL to sell out. In the event that there are unsold MTN at the end of the daily auction, those tokens will be held over and added to the next DSL. For example, if 1,000 MTN went unsold, the next DSL would introduce the scheduled 2,880 MTN along with the remaining 1,000 MTN from the previous day. We expect that the mintage rate for approximately the first 40 years will be 2,880 MTN per day. After approximately 40 years, the mintage rate will be higher as shown below. How soon will the daily auctions begin once the initial supply auction finishes? The first DSL will take place the following midnight UTC after the close of the initial auction. Who gets the proceeds of the MTN auctions? 100% of the ETH proceeds of the initial token sale and 100% of the future daily supply lot ETH proceeds go to MTN’s Autonomous Proceeds Provider (“APP”) contracts to provide long term liquidity and price support. What prevents a large hash-power miner (or pool of miners) from dominating purchases? Anyone can potentially soak up new supply, simply buying early and therefore paying more. That is how descending price auctions make the process predictable and the reason why we are using them. Miners can potentially front-run a non-miner transaction—but they must also (a) pay more, otherwise their actions have no impact on the auction, and (b) win a block, which is unlikely unless they are extremely large pools. What components make up Metronome? Metronome is comprised of four fully-autonomous and cooperative smart contracts. What Blockchains are MTN compatible with? 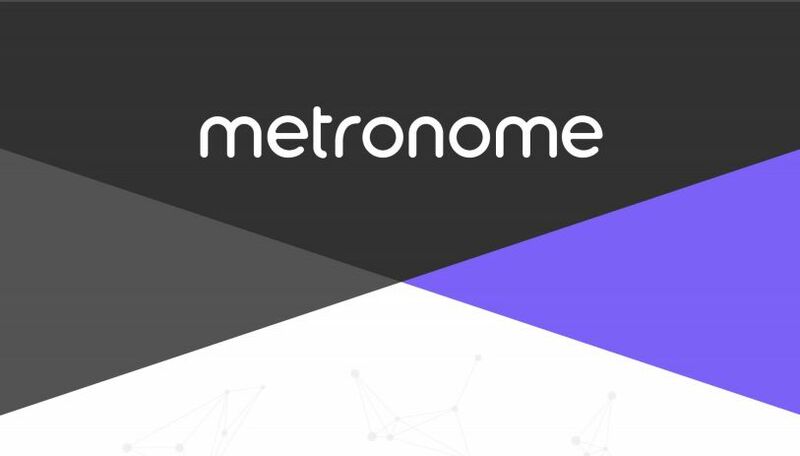 Metronome will be initially issued on Ethereum with Ethereum Classic, Rootstock, and Qtum support expected to follow. As the community continues developing MTN, it may be compatible with even more Blockchains. Has the smart contract that collects ETH been professionally audited for security issues? The smart contract has been audited by three independent consultants: Zeppelin Solutions, Martin Swende, and Gustav Simonsson. What risks are involved with MTN? Chain dependence (e.g., chain mutability or chain denial of service): as the first cross-chain cryptocurrency, Metronome was built to help mitigate this issue. Immutable bugs: Though the code has been thoroughly audited by independent parties, there is always this possibility that a bug may be immutable or need to be worked around. Contract attacks: Two categories of contract attacks are: (1) technical, which exploit some attribute of the contract’s bytecode-defined EVM behavior and (2) economic, where attacks induce unintended behavior from the contract functioning as designed.